View Our Lyon & Healy Summer Concert Series Photo Gallery! Lyon & Healy Harps is pleased to share its Summer Concert Series Photo Gallery. 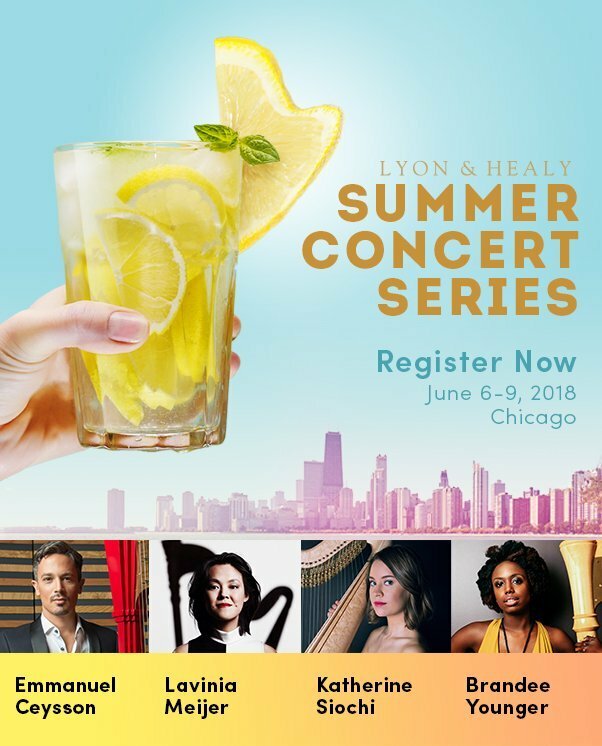 The Summer Concert Series was an extended weekend June 6-9, 2018, of concerts and masterclasses featuring world-renowned harpists Emmanuel Ceysson, Lavinia Meijer, Katherine Siochi and Brandee Younger, hosted at our Chicago factory in our Lyon & Healy Hall. View now!